The NWS has updated its tornado outlook from now through 6am tomorrow (Thursday). I agree with this revision. 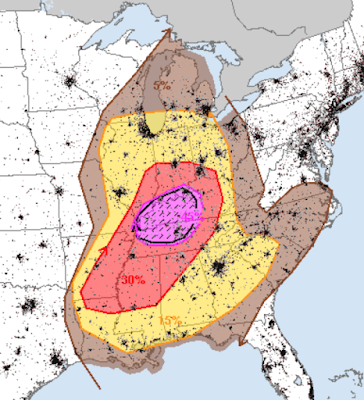 The brown (5%) is the significant threshold for tornadoes. 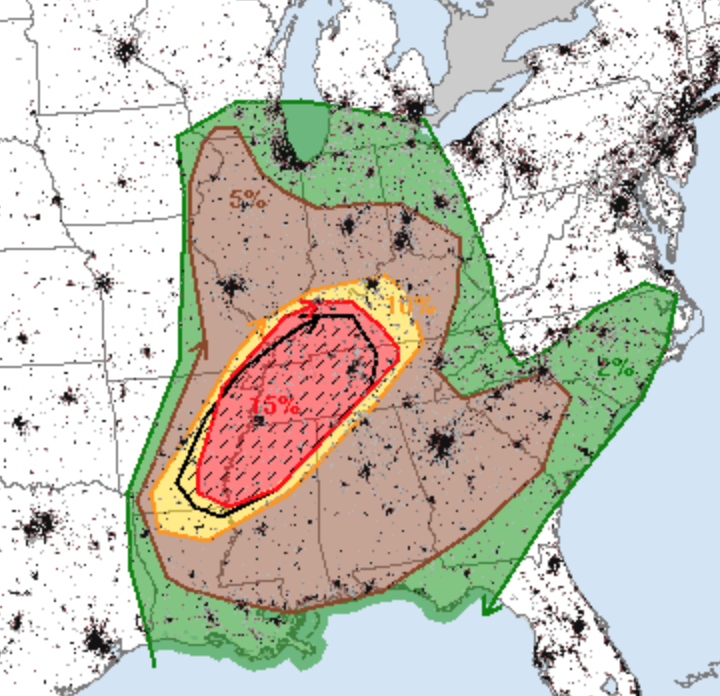 The hatched area is where strong tornadoes are forecast. In addition, the risk of thunderstorm-generated wind gusts of 60 mph or more has been increased. The significant threshold is yellow (15%). 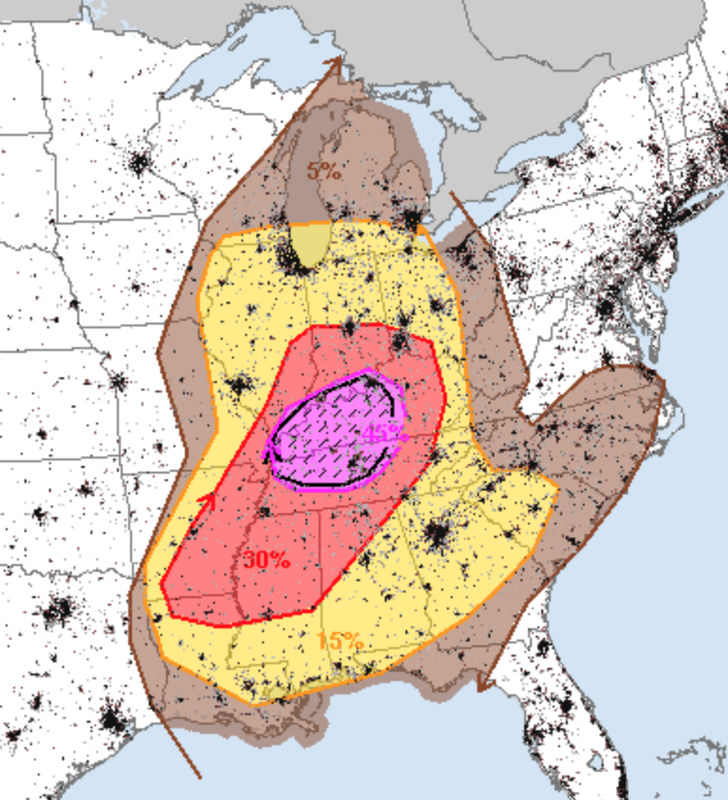 The hatched area is where wind gusts of 75 mph or higher are forecast. Given the risk of tornadoes and damaging winds, let me suggest the following preparations to be made now; not when a tornado warning is issued. Bring in trampolines and other outdoor objects that can be blown about. Fill your car with fuel and put it in the garage. Because of the chance of power failures and the holiday, it might not be a bad idea to have some additional cash. Keep your cell phone and computer charged. Make sure your weather radio, your cell phone with the AccuWeather app, or other devices are fully charged so storm warnings could be received.